This year’s Oxton Bonfire and Fireworks event on Saturday the 3rd November was bigger and better than ever. This year we put in place a number of improvements such as a public address system, parking control on Main Street and the provision of more food and drink. These improvements, combined with spending over 50 per cent more on the fireworks this year, meant that the audience were treated to the best firework display ever in Oxton. That was after they had enjoyed the lighting of the bonfire and been entertained by the stilt walkers, drummers and fire jugglers. There was even some food and drink left at the end! 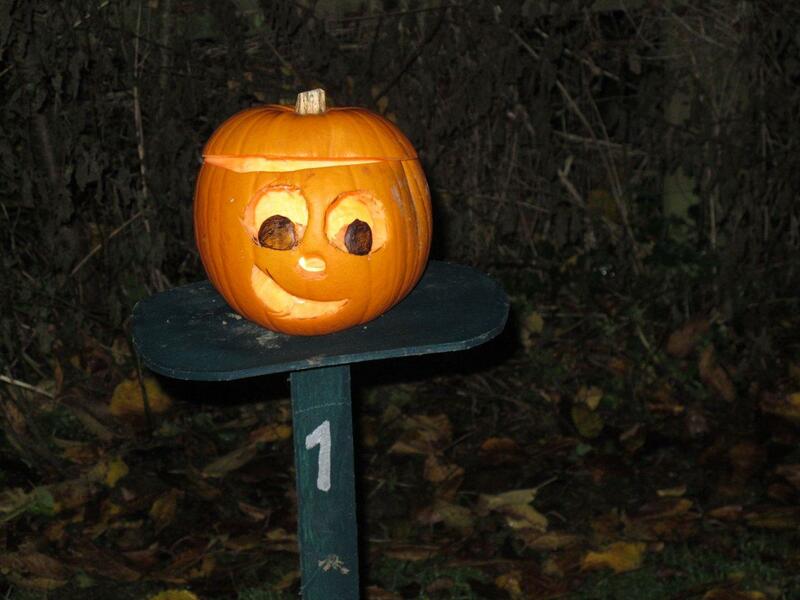 We had some fantastic pumpkins on display and the judge had a very hard time picking out the three best entries. Congratulations to Rem Strutt for the winning pumpkin. Pictures of the winning entries are below. About 1,500 people enjoyed the evening and allowed us to raise just under £2,000 which goes towards helping to run the Village Hall which is an important asset for Oxton. As ever an event of this nature could not be put on without a lot of hard work and help from a small army of volunteers, so very grateful thanks are due to all of them and to all of you who turned up and helped make it a very successful and enjoyable evening.